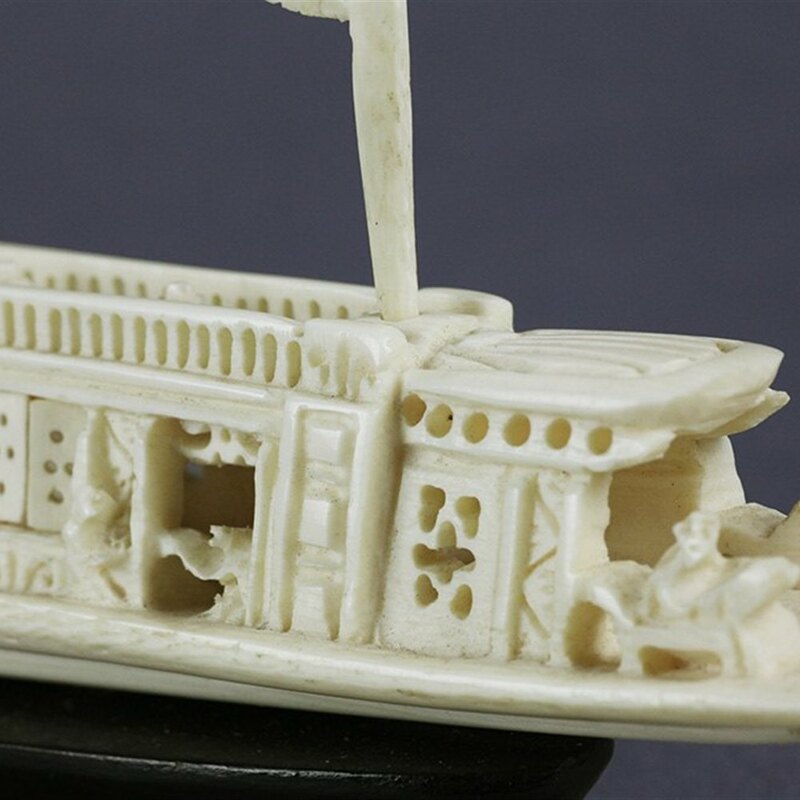 We offer this fine antique Chinese carved ivory boat mounted on a later stand and dating from around 1850. The miniature boat is well carved with figures and with various removable masts and flags and is mounted on a later stand. The carving is not marked.